Each partition is a unit of replication and each partition has its own replication topology. Replication occurs between directory partition replicas. Minimum two directory partitions are common among all domain controllers in the same forest: the schema and configuration partitions. Additionally, all domain controllers that are in the same domain share a common domain partition. Only one schema partition exists per forest. The schema partition is stored on all domain controllers in a forest. 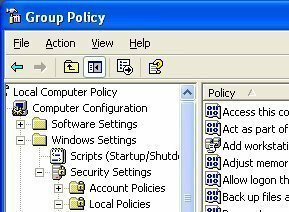 It contains definitions of all objects and attributes that can be created in the directory, and the rules for creating and manipulating them. Schema information is replicated to all domain controllers in the attribute definitions. There is only one configuration partition per forest. 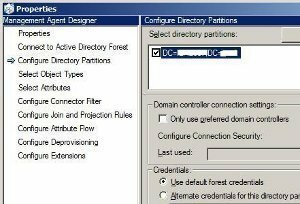 Second on all domain controllers in a forest, the configuration partition contains information about the forest-wide active directory structure including what domains and sites exist, which domain controllers exist in each forest, and which services are available. Configuration information is replicated to all domain controllers in a forest. Many domain partitions can exist per forest. Domain partitions are stored on each domain controller in a given domain. A domain partition contains information about users, groups, computers, and organizational units. The domain partition is replicated to all domain controllers of that domain. All objects in every domain partition in a forest are stored in the global catalog with only a subset of their attribute values. 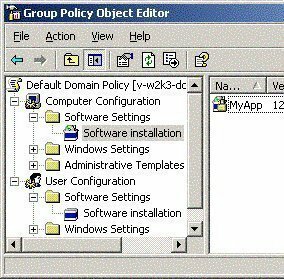 Application partitions store information about applications in Active Directory. Each application determines how it stores, categorizes, and uses application specific information. To prevent unnecessary replication to specific application partitions, users can designate which domain controllers in a forest host specific application partitions. Unlike a domain partition, an application partition cannot store security principal objects, such as user accounts. In addition, the data in an application partition is not stored in the global catalog. ForestDNSZones is part of a forest. All domain controllers and DNS servers in a forest receive a replica of this partition. A forest-wide application partition stores the forest zone data. DomainDNSZones are unique for each domain. All domain controllers that are DNS servers in that domain receive a replica of this partition. The application partitions store the domain DNS zone in the DomainDNSZones<domain name>. Each domain has a DomainDNSZones partition, but there is only one ForestDNSZones partition. No DNS data is replicated to the global catalog server. Thanks a lot. But should the last phrase look like “No DNS data is replicated to the global catalog” (word “server” omitted) ? It then takes rather different sense. Very well explanation easy to understand. This are superb explaination and i have become very clear conceptually. Originally posted by osef: “For which version of Windows serveur does apply this post? What is the date of publication? It was published in February 2nd 2009. For which version of Windows serveur does apply this post? What is the date of publication? 255 queries in 0.340 seconds.